The National Association of Home Builders defines universal design (UD) as “the design of products and environments to be usable by all people, to the greatest extent possible, without the need for adaptation or specialized design” (nahb.org). In short, UD involves creating things so they work the best for everyone and can be applied across all aspects of life, from the sidewalks in Tampa to the dishes you use on your table. However, one of the most important places to institute this style of thinking is in the home. This list of features is certainly not all-encompassing, but is meant to show you how changing the makeup of your Tampa home can be beneficial for many people. In the end, universal design is not just about remodeling a house, but rather, making a home the best place it can be for its current, and future, inhabitants. Are you in the Tampa area and interested in remodeling your home? Consider contacting Greaves Construction to find out more about their universal design home remodeling services. They will be able to walk you through the different features you can incorporate into your home, as well as help you design a home that you’ll love forever. Call 813-985-2739 for details. Growing up as a kid, everyone has played with building blocks at one point or another. Whether you built an astounding skyscraper with Lincoln logs or whether you just placed land minds of Legos around the house for someone to step on, you were a contractor at one point or another. The only difference between then and now is that some of us grew up with the continued passion for building and remodeling. Finding a home remodeling contractor in Tampa you can trust can be a very difficult process. Instead of spending hours combing through the yellow books, give Greaves Construction a call. If you made your home perfect when you first built it, shouldn’t it still be perfect 20 years later? Tired of looking at out of date appliances and cut-up counters? I bet that tie-die wallpaper looked really cool in the 70’s. There is a solution to all of this! Instead of dreading having to go through the process of hiring a home remodeling contractor in Tampa, you should be excited! Your home can feel like brand new again. Greaves Construction will work with you one on one to determine exactly what you are looking for. 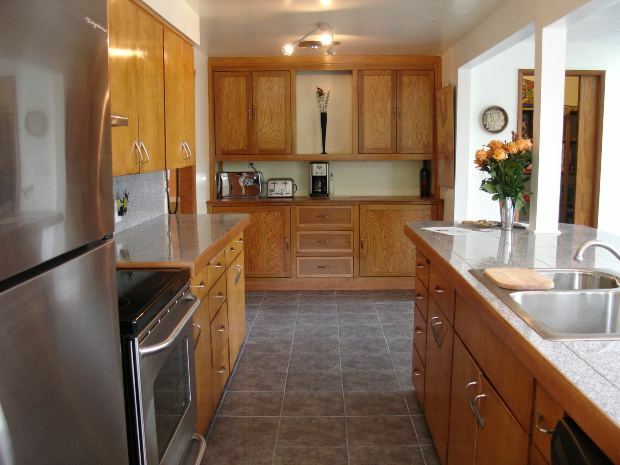 You can pick out new countertops and appliances. Since the kids moved out, I am sure there is a lot of extra room you can use for an office. Why not take advantage of your home and the space you have? Why not have them knock down that wall that you haven’t liked since you bought the place. You can completely recreate your new dream home or simply improve upon your dream home of 20 years ago. Whether you have decided to just update or bring on a new adventure, Greaves Construction is the place you should call for professional home remodeling contractors in Tampa. Visit their website to request a quote on your home now. Any homeowner is quite familiar with the amount of work it takes to upkeep your home. The time and effort put into ensuring your home is the peaceful abode of your dreams of can take years to achieve. Recently the housing sector has seen a major increase in home remodeling reaching upwards of $120.7 billion dollars in home improvements for 2012, and expected to soar to nearly $139 billion in the second quarter of 2013. A major increase when compared to the 2011 low of only $110.7 billion. This is a great indicator that people are choosing to remain in their homes, and have decided to remodel instead of selling and relocating. New construction in Estero, and other areas of Southwest Florida, has been on the rise in recent years. Majority of the residents deciding to either remodel their homes or undertake the construction of an entirely new home have certainly felt the presence of Bristol Bay Development, one of the leading companies in new construction in Estero for over 30 years. From the initial stages of design, pouring of the foundation, building the home itself, finishing interiors, to bringing your new remodeling concept to life, Bristol Bay’s approach is to take your practical needs and aspirations into consideration each and every step along the way. At the completion stage of your new home or remodeling project, your stamp on each room is necessary. Bristol Bay includes your vital input on the installations of fixtures, cabinetry, and various appliances, along with painting, interior design decisions, and optimizing the layout of each room to ensure you receive the most space possible. Clients seeking new construction in Estero or surrounding areas will receive a level of commitment and quality unmatched by any other construction or remodeling company in the area.